Having worked at restaurants in New York, Boston, Dallas and Tulsa Michelle Knows food and service. 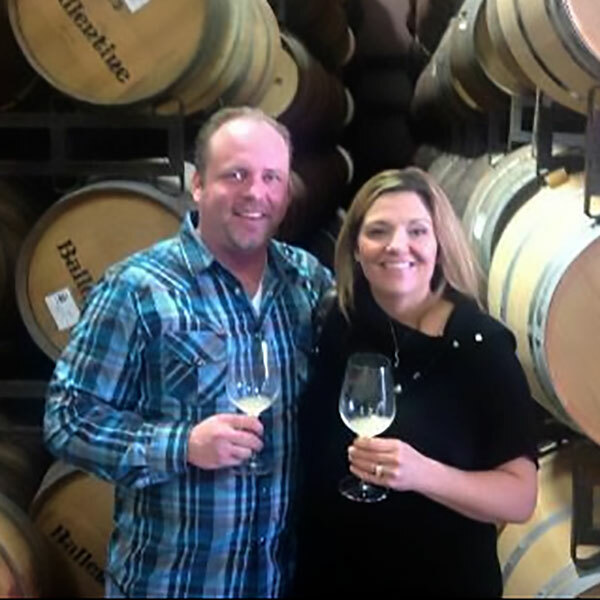 Her love for wine grew several years back and her dream has always been to open a winery to share her love of wine. She is excited to do just that! Brian’s career history is Music and Media. He is a true media genius, and he knows Music. His love for wine started slow, but it has become something he is passionate about. Together, they have put into Waters Edge Winery and Bistro everything they love about visiting wine country and exploring all the wonderful aromas and flavors of wine as well as create a menu to compliment the wine that is served. They hope your experience will see just that, come and visit soon. Our love for wine is evident through the variety we have choose with our wine list… We Study wine and have a passion for service, We want to bring wine country to Broken Arrow, come and get away with us, relax and enjoy this oasis of flavor! We Are confident you will find a wine you love and when you do, you can customize your own label and impress your friends with your very own wine! Looking for a wine you don’t see? Our winemaker is open to suggestions and will work her best to source unique fruits. I guarantee we have something you will love!